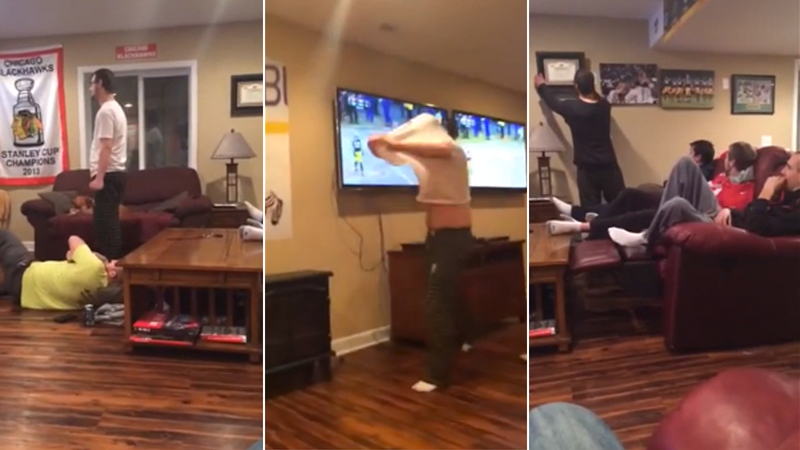 A Green Bay Packers fan lost his mind Sunday after Colin Kaepernick picked up a key first down late in the 49ers win at Lambeau Field. Since this is 2014, one of his friends recorded it all on video for the world to see. Watch the video then we’ll countdown all the greatness/sadness that was captured. By the way, folks, TURN YOUR PHONE SIDEWAYS WHEN FILMING. We can’t say that enough. 1. Nothing like watching a grown man lose his mind over his favorite team … while wearing pajama pants with his favorite team’s logo on them. 3. Yelling defensive suggestions at the TV at the top of your lungs probably isn’t going to help matters. 4. Quietly ripping the Packers flag off the wall and then taking down the framed Packers photos doesn’t make things awkward at all for the other folks in the room. Nope, just a grown man doing his thing. Sending a message to the squad. 6. The game was still tied at that moment! You figure a guy wearing Packers pajamas would have a little more faith in his team, no?